Featuring the most watched episode in series history, Mad Men: Season 6 arrives on Blu-ray Disc, DVD and Digital Download November 5 from Lionsgate Home Entertainment. From creator Matthew Weiner(HBO's The Sopranos), the critically acclaimed show features a top notch cast that includes Golden Globe winner and Primetime Emmy nominated Jon Hamm (Friends with Kids), Primetime Emmy nominated Elisabeth Moss (TV's Top of the Lake), Primetime Emmy nominated Christina Hendricks (Ginger & Rosa), Primetime Emmy nominated January Jones (X-Men: First Class), John Slattery (The Adjustment Bureau) and Primetime Emmy nominated Robert Morse (TV's City of Angels). As TV's most talked about drama, Mad Men has been recognized for its intelligent storylines and stellar acting, winning three consecutive Golden Globe Awards for Best Television Series - Drama and four consecutive Primetime Emmy Awards for Outstanding Drama Series. Returning for its sixth season, Mad Men, rife with possibilities, explores the glamorous and ego-driven "Golden Age" of advertising in the late 1960's New York City. Don Draper (Hamm) and the rest of the award-winning cast continue to captivate as they deal with the aftereffects of adultery, divorce, a merger and an ever changing social climate. 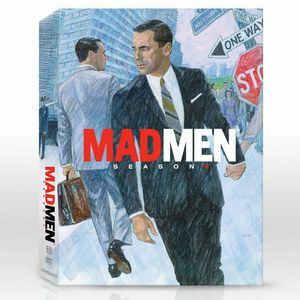 The 3-disc Blu-ray and 4-disc DVD sets are packed with bonus materials, including numerous innovative featurettes that examine wardrobe and sets for the show as well as the time period and culture of the Mad Men era. Mad Men: Season 6 contains all 13 episodes and will be available on Blu-ray and DVD for the suggested retail price of $49.97 and $49.98, respectively.